What is a Photonic Structured Water Unit? The Photonic Water Unit is a small cylindrical tube which when water or other liquids pass through its structure it separates unnaturally clumped water molecules bringing them back to their original detached state. You may read much more information including FAQs and Customer Testimonials by using the navigation above. When the water molecules are returned to their original structure, the smaller size allows them to be easily absorbed at the cellular level for humans, pets, and plants. Because our bodies are under considerable stress attempting to absorb those larger molecular groups, most people experience an immediate sense of stress reduction that is clearly obvious to them when drinking Photonic Water. It is viatal to health and well-being that the human body be properly hydrated. Because the water consumed can be fully absorbed, a healthy level of hydration is achieved with much less water consumption. The same absorption principles apply to plants. Faster growing and greater productivity are measureable results from greater absorption into the cellular structure. The water absorbs in, the pollutants pass along. When juices, wines, etc. pass through the portable unit the "bite" is removed leaving a smooth flavor. Our Structured Water is naturally soft, protective, oxygen rich, and energy packed, the way Mother Nature intended. Let's face it, all water looks the same. But the differences between one water and the next can be profound. While purveyors of distilled and purified water, reverse osmosis products, and ionizing systems tout their advantages, new research has revealed that energy is far more important than particulates, and that information is the real nutrient or contaminant that human cells respond to and function on. Only through structuring is energy restored to water while removing information contaminants. Consumers seeking answers to the problem of chemical saturation in our environment, and especially in the water supply, have searched high and low for viable answers. Unfortunately, few of the answers they've found have addressed the real problem of how to neutralize the effects of chlorine and fluoride, as well as the myriad of other substances that have begun cropping up in drinking water, such as Prozac, cyanide, and even rocket fuel. Furthermore, drinking is only one of the ways that water is consumed. For every shower taken, much water is absorbed through the skin, the body's largest organ. The main issue in determining whether the water we take in will have a beneficial or detrimental effect. Its energy richness or deficiency, lies in its organizational "structure." If the water is "structured," it will deliver life-giving oxygen and hydrogen to each cell while removing waste products. If it is not, it will take precious mineral resources from other parts of the body, so that the body can use what's available. 75% of North Americans are chronically dehydrated. Even mild dehydration slows the metabolism, causes fatigue, reduces short-term memory, and increases existing health challenges. Using the right water is even more important than drinking more. Our Structured Water Device creates optimal water. It is structured, so its clusters are more perfectly aligned. Two electrons are given and received simultaneously, creating a "zero-point" hydration state. Water that is in a zero-point state brings living energy, that is, light, and delivers it to any and all points of connection. That is exactly what is delivered from our Water structuring devices. We are used to abusing water, forcing it to do one thing or another in order to get our way. We "purify" it, squeeze it, turn it into steam, trap it, electrocute it (ionization) to produce very high pH, but one thing remains: memory. Life's information carrier, water retains a memory of everything it has been exposed to and every place it has been. Those memories are released naturally through the full hydrological cycle - from sea or ground water, to rain, and back again - where the water is filtered, re-mineralized, and "degaussed" (like a computer being rebooted). Nature's full hydrological cycle restores water's optimal structure, cleansing its energetic memory, freeing up its journey onward. Today's predominant water treatment methods do not take the full hydrological cycle into account, or compensate for its omission. 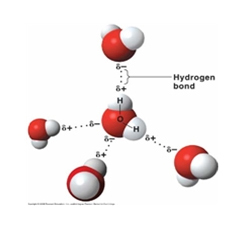 While the particulates and dissolved solids may be low in purified drinking water, or the pH may be high in ionized water, its energetic memory lingers unless the water under- goes structuring. Developed by Clayton Nolte, a scientist who spent over 40 years studying Nature's ways for the military, our Water structuring devices induce structuring events in your city or well water source naturally. That is, by causing your water to move in a specific way as it flows through the line into the home or pool, or just before it exits the faucet for a shower, as drinking or cooking water in the kitchen, or out of the garden hose. The result? Cleaner, softer, better tasting, energy rich water, created without using chemical filters, salts, electricity, or complex metal alloys, for a truly maintenance-free water system. Our Water Structuring Devices change water's molecular structure, producing meas- urably smaller molecular cluster sizes, and reduced molecular surface tension for greater hydration. Thus, any materials in the water are also their ability to be structured, neutralizing assimilated in the body. The information that the water had carried will have been erased. This creates life- giving, rather than energy-taking, enhanced water. Drinking it is the most fundamental way to help the body function optimally and remain disease-free. Structured water is hydrating water. Drinking our structured water throughout each day assists the body's ability to be energized via delivery of hydrogen "fuel" (hence, the term hydration), and flush toxins and meabolic waste. PHOTONIC Structured Water Technology is astounding research physicists and opening up new horizons in medical applications, animal husbandry and horticulture across the globe. It is fast becoming a proven Godsend and benefit to Humanity the world over. Explore the countless benefits possible for your Farm, Nursery, Commercial Poultry or Livestock Operation that will save you thousands of dollars and significantly increase quality, yield and earnings each year. Recent breakthroughs in Bio-Photon life force energy research reveal highly effective applications of PHOTONIC Structured Water in Agriculture, Livestock and Poultry Production. 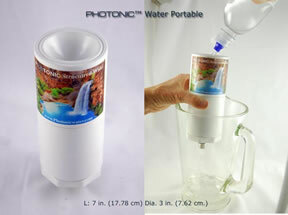 PHOTONIC STRUCTURED WATER UNITS are Environmentally Friendly Solutions Guaranteed to Increase Hydration and Nutrient Absorption for People, Plants and Animals. Water is a key element of all life and our Structured Water Units Increase the Life Energy in Water which Guarantees Significant Improvement of Feed and Nutrient Conversion Ratios in Poultry and Livestock as well as Increase Nutrient Levels in Produce. 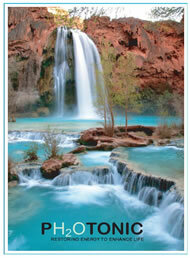 Welcome to a New World of Water, Health and Hydration Energy Dynamics. 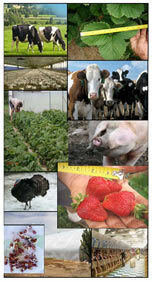 Productive Solutions Across A Wide Range of Agriculture, Poultry, Dairy and Livestock Applications. Just 1 of 1000’s of testimonials. One of our clients observed an immediate change in drinking patterns. The herd (130 head) had been drinking around 1,800 gallons of water per day for several days. Consumption would spike to over 4,000 gallons for a number of days then return to the lower level. After structuring devices were installed, water consumption leveled off to around 1,800 gallons each day. The more serious issue of the cattle’s water source, a nearby well, was believed infested with a strain of Staphylococcus bacteria. 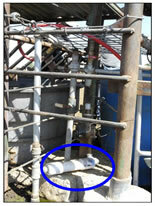 Lab reports confirmed this bacteria in the well water but found ZERO in the structured drinking water. • 27% to 40% increase in bio-mass of all crops. • Crops use 30% to 50% less water. • Crops withstand extremes in hot and freezing temperatures better. • Dramatically improves hydration, oxygenation and improves energy. • Significantly increases the Bio-availability of nutrients. • Longer shelf life of agricultural Produce and cut flowers. • Decreases seed germination time. • Healthier livestock and poultry. • Greatly improves aerobic bacterial activity and reduces septic odor. • Significantly reduces anaerobic bacteria. • Reduces bio-availability of pollutants and toxins. • Increases the life span of water valves, pipes, hot water heaters, swamp-coolers and humidifiers.